Alchemy is the art of brewing potions and poisons by combining ingredients with matching effects, using an Alchemy Lab. Initially, you don't know the effects of ingredients and must discover them by eating ingredients, reading recipes, or brewing them into potions. Some NPCs (notably alchemists) may offer you basic recipes while conversing. Perks in this skill allow discovering more effects by eating; increase the effectiveness of created potions and poisons; remove the positive effects from poisons and the negative effects from potions; and allow you to gather twice as many ingredients from plants. The alchemy skill tree has 9 perks, requiring 15 perk points to fill. Each level in the alchemy skill increases the effectiveness of crafted potions and poisons by 0.5% for +50% effectiveness at level 100 compared to level 0. In-game Description: An alchemist can create magical potions and deadly poisons. Alchemy is a useful complement to any character style. The most basic potions restore Health, Magicka or Stamina, while poisons cause weapons to inflict greater damage. With a more thorough understanding of the ingredients, you can brew formulas which produce the effects of many magic spells and enchantments. While many potions are available for sale, knowledge of alchemy gives you more flexible, and potentially more powerful, potions than can be bought. 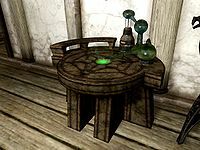 Unlike in previous Elder Scrolls games, you cannot carry around alchemy apparatus and make potions on demand, but may only do this at an Alchemy Lab. †Green thumbs also get extra ingredients from crops, egg nests, barnacle clusters, and other objects, but not from creatures, passive creatures, nirnroot plants, or Hearthfire planters (see bugs). ‡Prior to Patch 1.9, the prerequisite perk for Purity was only Experimenter, even though the perk tree indicated Snakeblood was needed. Alchemy can only be performed at designated alchemy labs. To create a potion (or poison) you must combine two or three ingredients which share a magical effect. If the shared effect is a beneficial one (e.g., Restore Health), you create a potion; if the shared effect is a negative one (e.g., Damage Health), you create a poison. 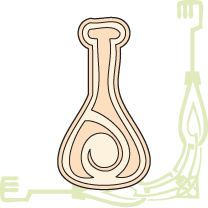 Multiple-effect potions can be created if the combined ingredients have more than one effect in common. A list of some useful craftable potions is provided at Useful Potions. Each ingredient has a total of four available effects. Eating the ingredient always allows you to discover an ingredient's first effect; the Experimenter perk causes additional effects to be discovered when you consume an ingredient. Additional effects can be discovered by experimenting to see what ingredient combinations successfully yield potions. When an ingredient is selected, it will grey out all other ingredients where a combination has previously been attempted and failed. Unlike in Oblivion, your Alchemy level does not affect which effects you can discover or use. When an effect has been identified, the effect will be listed in the Alchemy menu screen, allowing you to sort ingredients by effect. Your Alchemy skill level, Alchemy perks, and Fortify Alchemy enchantments determine the strength of any potions or poisons that you create (see Alchemy Effects for details). In turn, mixing potions/poisons leads to Alchemy skill increases. The effects of multiple Fortify Skill potions generally do not stack; if you already have a Fortify Enchanting potion in your system, there is no benefit to drinking another. The exception to this rule is Fortify Restoration potions; since Restoration governs all Skills, a Fortify Restoration potion will reinforce any Fortify <Skill> potion if drunk together. You can try various recipes found in-game, or you can simply mix ingredients together randomly. A more effective strategy is to notice commonalities between ingredients. Those that grow near each other often have similar effects (such as Purple Mountain Flower + Thistle, or Lavender + Red Mountain Flower + Tundra Cotton). Insects that feed on flowers often have the same effects. 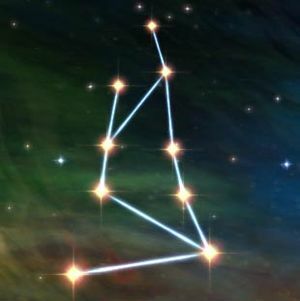 Similarities between names (such as, "Frost" and "Snow") also provide a hint. Placement of ingredients in kitchens and display shelves usually indicate they combine with nearby ingredients. The Experimenter perk allows you to discover more effects each time you eat an ingredient. The 1.9 patch and the Dragonborn add-on both have features that let you clear a Perk Tree and reinvest those perks in other places. So you can get as many perks as you want in Experimenter, eat one of each ingredient, and then clear the Alchemy tree to put those perks elsewhere, giving you all the benefits of this perk without having to waste the 6 perk points it would take to get all the effects. The lists below are sets of potion recipes that will efficiently reveal all four effects of every ingredient. Each list has a title with the ingredients it includes; the division is between ingredients from the base game and those added in the official add-ons. There is no assumption that you have identified any effects, even the first one. None of them contain Mort FleshCC, the ingredient added by Plague of the Dead. The simplest way to get any vendor to restock is to save the game, attack the merchant, and then reload. This will reset both the merchant's inventory as well as their gold available. If you prefer a method that doesn't rely on a glitch, ingredient shops replenish their stocks every 48 hours. Markarth is exactly 25.5 hours away from Riften, so fast traveling from Markarth to Riften will make sure you get into town during the same time you left plus 1.5 hours, a day later. Thus, you can create a 51-hour round trip circuit between the two cities if you have large amounts of materials to buy or sell. This will cut down on your waiting for shops to be open if you arrive after business hours. +1 Alchemy reward for completing the quest Rare Gifts by bringing the book Song of the Alchemists to Lami. Reading this skill book can also provide +1 Alchemy. +1 Alchemy reward for completing the quest Dungeon Delving (Caves) by finding the Ring of Pure Mixtures for Frida in Dawnstar. +1 Alchemy reward (as well as +1 to all other stealth skills) from Inge Six Fingers (Bards College) for completing the quest Finn's Lute. +5 Alchemy reward (as well as +5 to all other stealth skills) by selecting "The Path of Shadow" from the Oghma Infinium after completing the quest Discerning the Transmundane. Alchemy experience gains are proportional to the gold cost of the potion being brewed. Details of the gold cost calculation are provided at Alchemy Effects. Fortify Alchemy enchanted apparel (Hand/Head/Ring/Amulet) with a high combined bonus (+100% or more) greatly increases the effectiveness of alchemy training. It is recommended to level Enchanting first for this purpose. +100% means double the value and thus twice as much skill XP per potion brewed. Get the Alchemist, Physician, Benefactor and Poisoner perks as soon as they unlock while training. The most expensive single effects (using standard ingredients) are Paralyze, Damage Magicka Regen, Invisibility, and Slow. Since the effect costs are additive, a potion with more effects may have higher sell value than a potion with only one of these high value effects. With the Hearthfire add-on, Salmon Roe (when used to create a water breathing potion) is far more valuable than Giant's Toe for creating the most expensive potions, but that ingredient is very hard to obtain in large quantities. The reason for its value is that the Fortify Magicka and Waterbreathing duration values appear to have been swapped with one another, as Fortify Magicka is normally 60 seconds, while Waterbreathing is normally 5. In particular, combining Salmon Roe, Histcarp and any ingredient containing Regenerate Magicka creates the most valuable potion that can be crafted. A particularly good way to produce potions is using Windstad Manor as both Histcarp and Salmon can be grown in the fish hatchery (using Unrelenting Force to obtain the roe) and Regenerate Magicka ingredients such as Jazbay Grapes can be grown in the garden. All of these ingredients will respawn every three days, providing an easy means to level up Alchemy very rapidly. The Unofficial Hearthfire Patch, as well as all later patches, swap the duration values of Salmon Roe's Fortify Magicka and Waterbreathing effects, bringing the value of potions which make use of it back in line with similar potions which don't. With the Hearthfire add-on, an easy way to get an initial boost to your Alchemy skill at the start of the game is to catch 3-8 leaping salmon on your way to Whiterun, then buy some Garlic from Carlotta Valentia's stall and collect the Nordic Barnacles from the pond below the bridge into Dragonsreach. With the Dragonborn add-on, Boar Tusk (when used to create fortify health or stamina) is equal to Giant's Toe, but when used to fortify health and stamina is greater than Giant's Toe in value. Rather than worry about which ingredients to buy, it is probably best just to buy all the ingredients from any alchemist merchant except the most expensive (Daedra Heart, Frost Salts, and Void Salts) because the money made back from selling potions will allow you to empty the merchant of all the ingredients they have as well as all of their gold. Just work through the whole inventory making potions for maximum XP. With the Hearthfire add-on installed, farming becomes an option. Both the exterior garden and the greenhouse add-ons to the player-built homes allow for the growing of certain alchemy ingredients, and some of the most valuable two-ingredient potion effects can be made from those grown in the new planters. Fully clearing the dungeon during the Frostflow Abyss quest not only yields close to 100 Glowing Mushrooms but also over 400 Chaurus Eggs with the expensive Invisibility effect. Identify as many effects of the ingredients you wish to use as possible (definitely necessary if you don't look them up). Find the highest value effect to brew from your available categories list. Select two ingredients, one of which should have another relatively expensive effect. Try to avoid rare ingredients or generally those that you will need later (like those with Fortify Enchanting/Smithing/Carry Weight effects). Go to the category of the other expensive effect, select a third ingredient and brew the potion. Repeat. If you want to train both through skill usage and via a trainer, you can brew your potions at Arcadia's Cauldron in Whiterun. Arcadia is an Expert Alchemy trainer, so you can pay her to train, which will increase the gold she has to buy absurdly expensive and useless potions. After joining the Dark Brotherhood, you can continue this process with Babette, who is the Master Alchemy trainer in the game. While this method is unlikely to produce the best potion values possible, it requires no planning or selective ingredient gathering, potentially saving much time. Try to use more valuable ingredients, like Giants' Toes. Additional effects add to a potion's value regardless of whether the effect is negative or positive. Dwarven Oil and Taproot have exactly the same effects so you can make a high value potion with just these two items. If you have Dawnguard installed, then Ancestor Moth Wing, Blue Butterfly Wing, and Chaurus Hunter Antennae also share the same effects. With Hearthfire, another combination is possible with Chicken's Egg and Hawk's Egg. Guards will talk about your Alchemy skill if it is level 30 or higher: "Fancy yourself an alchemist, hmm? Never could get the hang of that." and "Hey, you mix potions, right? Can you brew me an ale?" There are (according to preliminary calculations) 21974 distinct and efficient alchemy recipes possible in Skyrim only using the ingredients provided at the game's release on 11/11/11. "Distinct" means order of ingredient listing is ignored. "Efficient" means each ingredient contributes at least one effect the mixture would otherwise lack. Note that the Purity perk will reduce your ability to earn money via Alchemy, since potions or poisons that mix positive and negative effects gain their value from all of their effects, and Purity removes the conflicting ones without any compensation. Fortify Archery potions affect all types of weapons. Fortify One-handed potions won't affect daggers. Hearthfire planters will not give double the ingredients with Green Thumb, despite the harvest notification indicating otherwise. This page was last modified on 20 December 2018, at 19:52.